As a fully qualified and highly trained Specialist Plastic Surgeon, Dr Safvat provides a broad array of Plastic, Cosmetic and Reconstructive Surgical procedures. Dr Safvat’s perfectionist approach in surgery, combined with his genuine caring nature, makes him a devoted Plastic Surgeon whose aim is to achieve optimal natural result and impeccable care for his patients. 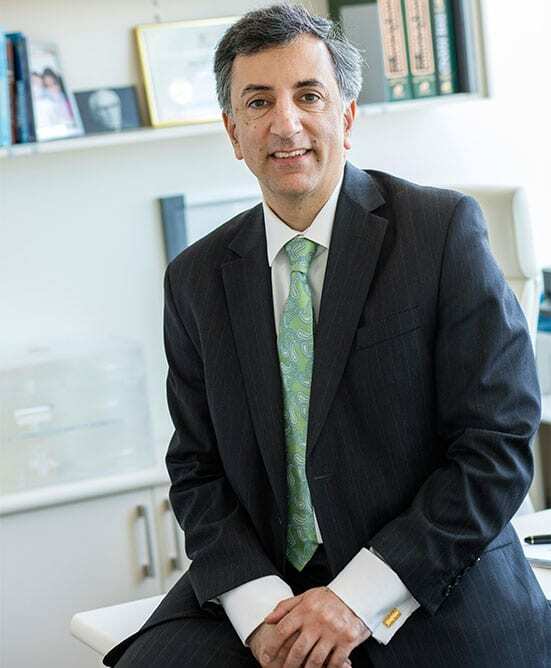 Dr Safvat is a Specialist Plastic and Reconstructive Surgeon who has spent a lifetime acquiring qualifications, training and experience to pursue his passion of helping people and transforming lives whether through performing complex Reconstructive micro-surgery or enhancing self-esteem through delicate Plastic Cosmetic Surgery. Dr Safvat began his medical training at the University of New South Wales in Sydney. After obtaining his medical degrees and being selected into surgical training, he embarked on a further fifteen years of rigorous general and plastic surgery training including full-time surgical research at the Royal North Shore Hospital, before being awarded his FRACS (Plastics) under the Royal Australasian College of Surgeons, the only government recognised body for training Surgeons in Australia. He is also a member of ASPS, peak body for Plastic Surgeons in Australia a title only granted for Specialist Plastic Surgeons. Upon successful completion of his Fellowship, he undertook a further post-training Fellowship in Micro-surgery and Aesthetic Surgery at St.Vincents Hospital in Sydney. Dr Safvat has appointments at both major Public Hospitals and numerous Private Hospitals across Sydney and Southern Highlands and is actively involved in training registrars and new generation of Plastic Surgeons. Coming from a highly academic family has contributed to Dr Safvat’s pursuit and interest in research and academia resulting in many publications in peer-reviewed journals which have won international awards. Dr Safvat is also a clinical lecturer and examiner at The Sydney University. What attracted Dr Safvat and increasingly drew him to become a Plastic Surgeon was his high level of surgical skill, attention to detail, and the artistry that is paramount in Plastic Surgery. It is the combination of refined technical expertise with the aesthetic flair of repairing and, at times, enhancing form and shape to transform people’s lives and self-esteem that captured him over. Dr Safvat is recognised and respected amongst patients and peers for his high moral values and integrity. His perfectionist approach in surgery combined with his genuine caring nature makes him a devoted professional plastic surgeon whose aim is to provide impeccable care and the optimal result for his patients. Dr Safvat stays abreast with the latest advances and surgical techniques in the field of Plastic, Cosmetic and Reconstructive Surgery through regularly attending domestic and international conference, courses, and workshops. He is involved with regular presentations at national and international meetings and conferences. Outside of his practice Dr Safvat is a proud father of two girls, an accomplished musician, enjoys cycling and reading philosophy.